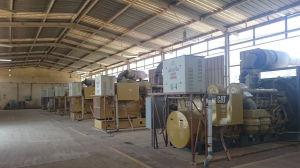 More companies are considering the use of an independent power producer (IPP) to meet their mines’ energy needs, as many projects are under pressure to achieve capital savings to weather the current operating environment, comprising low commodity prices and diminished revenue streams. This is according to specialist financial advisory firm Cresco Project Finance, which states that, historically, off-grid mines typically bought and operated their own diesel or heavy fuel oil power generating facilities to meet their energy requirements, as security of energy supply is important to sustain operations. “An IPP builds, owns, operates and maintains the power plant at the mine site and sells the energy generated ‘over the fence’ to the mine. This effectively converts capital expenditure (capex) into operating expenditure,” say Cresco senior associate Andy Tant and director Robert Futter. For a number of projects, an IPP approach holds significant benefits. The mine does not have to raise the capex to build the power plant and the net annual cost differential between an owner-operated and an IPP solution is often much less than expected. “Once the tax implications have been considered in full, our experience shows that the difference in the net present value of the cost of power between the options can be negligible or in favour of the IPP option,” Tant and Futter add. With an IPP solution, the IPP deals with the various issues involved in the plant design and operating strategies, such as required energy levels, and Cresco notes that mines can benefit from warranted fuel consumption levels, ensuring the lowest cost of energy. Meanwhile, they further explain that integrating an IPP approach with a renewable-energy source will benefit some projects more than others, depending on the jurisdiction of the project and the expected life-of-mine (LoM). The benefit of integrating an IPP solution with solar photovoltaic (PV) power generation technology is usually worth considering if the LoM is longer than ten years. The additional capex required to install a PV solution is offset by the lower operating costs over this timeframe. “The cost of solar PV generation has decreased in recent years, presenting an attractive power generation solution for mines. However, mines need baseload electricity and mining firms are typically not familiar with integrating solar PV with a thermal power plant solution. Therefore, mines are often uncertain about the benefits of this approach,” state Tant and Futter. Financial advisory firms should be able to provide an approximate cost of power through benchmarking for initial analysis, but the final cost will be improved through a competitive tendering process. On this type of tender, the mine can specify its technical requirements in terms of acceptable downtime of the power plant, starting load compared with running load and allow the IPP to propose a design and operational strategy that achieves a mine’s requirements. “The majority of IPPs can assemble high-quality technical proposals, meeting a mine’s requirements. However, a key consideration for a mine when using an IPP approach is the type of funding that the IPP will employ,” adds Cresco. Typical issues related to risk sharing include identifying which entity will take on the risk of fluctuating fuel costs or changes in legislation, such as the rate of corporate taxation, and the level of project guarantees. In some instances, a mine will have negotiated some type of stability agreement with government, which might cover some of these aspects. Tant and Futter also note that, while many IPPs are able to demonstrate technical ability, the selection of an IPP tends to depend more on the commercial aspects of a proposal, such as whether the IPP can deliver the proposed funding solution on time and under conditions that are acceptable to all involved parties. Cresco advises mining companies operating in Africa with regard to employing IPP power generation solutions and has most recently worked with gold producer AngloGold Ashanti’s Geita gold mine, in Tanzania; the Siguiri gold mine, in Guinea, which is owned by AngloGold Ashanti (85%) and the government of the Republic of Guinea (15%); and the Sadiola gold mine, in Mali, which is owned by AngloGold Ashanti (41%), gold explorer and miner Iamgold (41%) and the government of Mali (18%). However, not all of these mines have opted for an IPP, as each mine has different considerations, notes the company. “There are a large number of IPP companies globally which are interested in these types of contracts in Africa and each IPP has its own in-house considerations. For example, some are focused specifically on supplying cleaner energy solutions,” says Cresco, which assists its mining clients to put together tenders to see which of these IPPs will find a project interesting. “We have been involved because tenders for this type of contract usually have a number of different considerations or commercial drivers, compared with the type of tenders that mines usually put out, for example, to buy a piece of equipment. To make the process run smoothly, you need people who are familiar with the IPP type of contract when putting the tender together and [identifying] the winning bid,” Tant and Futter conclude. Africa Energy Forum 2016 - will we meet you there?